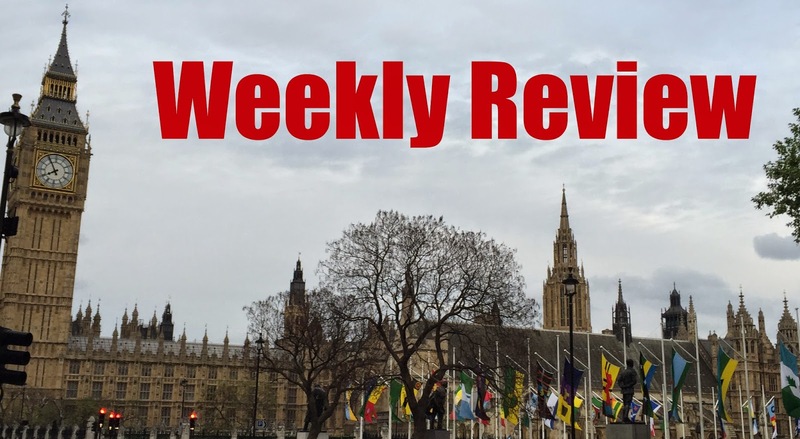 Weekly Review No.4: Can we have the referendum yet? Tragically, the former Liberal Democrat leader Charles Kennedy died on Monday at the age of 55, I've written a short tribute to him. Article of the week: The Guardian's Patrick Wintour discusses the failure of the Labour campaign – focusing on their lack of joined up thinking on the deficit. I know, I'm sorry, but once again the EU referendum is in the news. (Don't forget it is still at least a year away!) This time for two completely different reasons. The first involves German Chancellor Angela Merkel, she said she was open to changing treaties in order to keep Britain in the EU. In a BBC interview she claimed she is not "losing sleep over" a possible Brexit and is "optimistic" that they'll "find a good solution." This is fantastic news for Cameron, it means that meaningful concessions could be extracted from the other EU leaders – specifically moving the UK away from the "ever closer union." The Germans will be keen to keep the UK in the EU, particularly given the strength of the British economy compared to some places in Europe, and will, therefore, be willing to give into fundamental changes. The second was Lord Lawson (the former Conservative Chancellor under Thatcher) said that the Prime Minister would "not get fundamental EU change" - something that seems rather moot given the noises Chancellor Merkel is making. Lawson, a well-known Eurosceptic, said the UK would likely stay in, but regret it. He said that the Prime Minister would probably achieve very small, inconsequential changes, but given the lack of a meaningful opposition to staying in the EU (what about poor Nigel Farage!) the result will be to stay in. This response illustrates the wider problem in the Conservative party – there are many in the party who will not be satisfied with any change in the EU and will campaign to withdraw. Cameron should be wary of dragging his party through a long campaign which leaves the Tories irreparably damaged – as it was during John Major's premiership. 2. MPs are getting a pay rise...or are they? Back in December 2013, the Independent Parliamentary Standards Authority (IPSA) proposed a pay rise for MPs – this was met with hostility from both the public and government. However, this week IPSA have said there is no "material reason" for MPs not to get an extra £7,000 (increasing their salary from £67,000 to £74,000). Many MPs have said the increase is not appropriate and several have promised to donate the extra money they receive to charity. However, some of said they are accepting the rise in the face of public opposition. IPSA was formed in the wake of the MPs expenses scandal and given the task of setting MPs pay – removing the ridiculous situation that Honourable Members could set their own salaries. However, the major flaw in this plan was preventing MPs from voting against their own pay increase – meaning that they are now powerless to stop it. Although I am of the opinion that MPs should be paid more (an unpopular one I know), it is clearly inappropriate for it to happen now given the cap on public sector pay rises under the current and previous governments. It is also clear that IPSA rules should now be changed to allow MPs to refuse a proposed pay rise. Another person has thrown their hat into the ring for the leadership of Her Majesty's Loyal Opposition – Jeremy Corbyn, MP for Islington North (don't worry I hadn't heard of him either). Corbyn has promised to stand on "anti-austerity" platform in order to give "Labour party members a voice." Clearly, Corbyn is an outsider in this contest (although he's got more nominations than Mary Creagh), if he was chosen it would be a disaster for Labour – especially given that many people felt that Ed Miliband was too far to the left. In 1980, the party chose committed socialist Michael Foot as leader and he led the party to its worst election results since 1918 – given the recent disastrous election result the party will be wary of going back to the wilderness years of the 1980s. A George Osborne speech wouldn't be the same without an announcement of spending cuts for government departments. Much of the money is coming from departmental underspends (I know I couldn't believe it either), but some departments will be hit quite hard. Defence will be cut by £500 million (about 1.5% of its overall budget) which may affect the government's ability to keep its NATO commitment of spending 2% of GDP on defence – this will leave Osborne open to attack from both UKIP as well as his own backbenchers. The Scottish government is facing cuts of nearly £177 million, much to the annoyance of the Scottish National Party government (unsurprisingly) who said that there had been no prior consultation before the announcement – particularly because the Scottish government have already agreed this year's budget. Once again, this announcement will strengthen the SNP in Scotland, most likely at the expense of the Scottish Labour party (or is that the sceptic in me talking?). Finally, the Chancellor will be selling off the 30% government stake in the Royal Mail, fully privatising it for the first time in its 500 year history. The sell-off should raise £1.5 billion, which will be used to reduce the national debt. That's it for another a week in politics, let me know your opinions by commenting below or tweeting me.